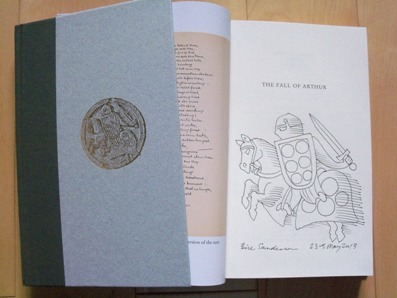 UK HB first LIMITED edition - Signed, dated and remarqued by the artist Bill Sanderson. 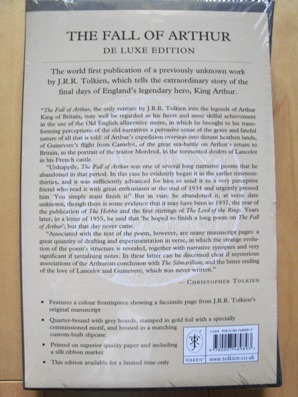 Synopsis : Deluxe collector's edition featuring the first edition text and containing a facsimile page of Tolkien's original manuscript. 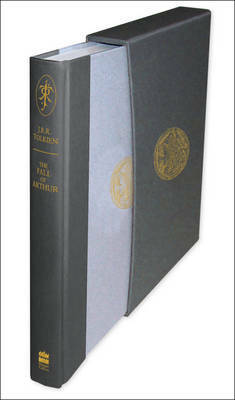 The book is quarterbound with a gold motif stamped on the front board and is presented in a matching slipcase. 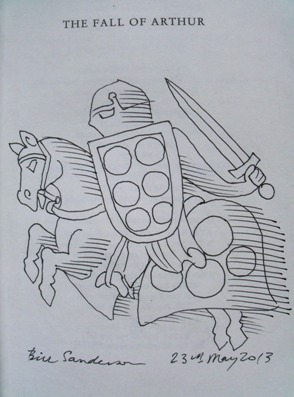 The Fall of Arthur, the only venture by J.R.R. Tolkien into the legends of Arthur King of Britain, may well be regarded as his finest and most skilful achievement in the use of the Old English alliterative metre, in which he brought to his transforming perceptions of the old narratives a pervasive sense of the grave and fateful nature of all that is told: of Arthur's expedition overseas into distant heathen lands, of Guinevere's flight from Camelot, of the great sea-battle on Arthur's return to Britain, in the portrait of the traitor Mordred, in the tormented doubts of Lancelot in his French castle. 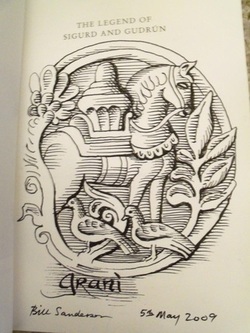 Unhappily, The Fall of Arthur was one of several long narrative poems that he abandoned in that period. In this case he evidently began it in the earlier nineteen-thirties, and it was sufficiently advanced for him to send it to a very perceptive friend who read it with great enthusiasm at the end of 1934 and urgently pressed him 'You simply must finish it!' 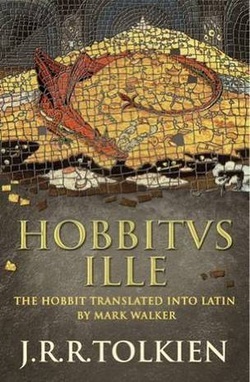 But in vain: he abandoned it, at some date unknown, though there is some evidence that it may have been in 1937, the year of the publication of The Hobbit and the first stirrings of The Lord of the Rings. Years later, in a letter of 1955, he said that 'he hoped to finish a long poem on The Fall of Arthur'; but that day never came. Associated with the text of the poem, however, are many manuscript pages: a great quantity of drafting and experimentation in verse, in which the strange evolution of the poem's structure is revealed, together with narrative synopses and very significant if tantalising notes. 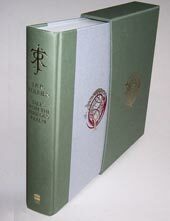 In these latter can be discerned clear if mysterious associations of the Arthurian conclusion with The Silmarillion, and the bitter ending of the love of Lancelot and Guinevere, which was never written.